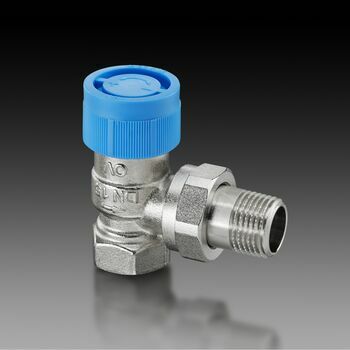 OVENTROP-Thermostatic radiator valve "Series RF"
Replacement of the valve insert without draining the system. 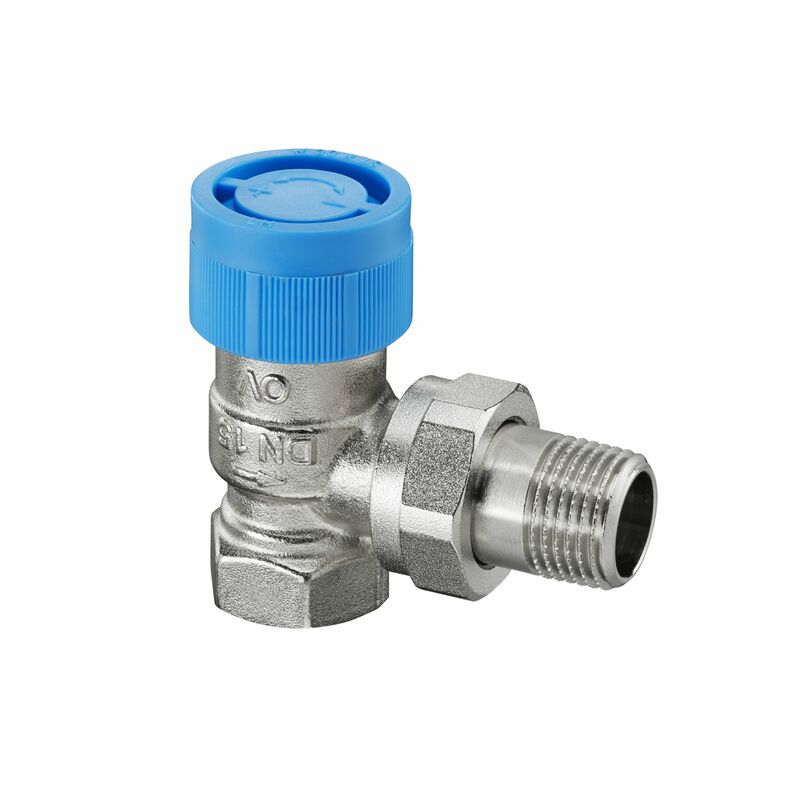 Bronze/brass valve with nickel plated body, stem made of stainless steel. For threaded and compression connection. Dimensions according to EN 215, reduced dimensions compared with "Series A". The valves of the "Series RF" have a blue protection cap.